MechCon 2018 is currently underway, as fans and competitors from around the world have gathered at the Vancouver East Convention Center in Vancouver, Canada to celebrate everything MechWarrior. Piranha Games has been very busy this year with the ongoing development and continued maintenance of its online competitive multiplayer game, MechWarrior Online. However, the company has also been working on the long awaited sequel for the main BattleTech series. And at long last, we have an official release date, as they have just announced that MechWarrior 5: Mercenaries will launch on September 10, 2019. Piranha Games made the announcement during the first day of MechCon 2018. The company also released a brand new trailer that includes stunning visuals and a rocking soundtrack. The gameplay retains all the classic MechWarrior mechanics that we all know and love, as it showcased Mechs engaging in combat, maintaining the Mechs in the hangar bays, and Mechs literally plowing through buildings and the surrounding environment. We can’t help but feel a bit nostalgic watching this beautiful display of destruction as this brings back memories of the original MechWarriors in the 1990’s and early 2000’s. MechWarrior 5: Mercenaries was originally scheduled for a tentative release sometime this year. Unfortunately, it was delayed this past Summer, as Piranha Games President Russ Bullock at the time stated that the reason was “so that we can deliver the best single-player MechWarrior experience to date. We are well aware of the responsibility and great opportunity we have in re-introducing MechWarrior to the world.” The last MechWarrior game to release was MechWarrior 4: Vengeance, as well as its expansions. This means that it’s been over 15 years since we’ve had a new entry in the BattleTech series, so we’re due for a new storyline. A lot of fans, new and old, have been getting acquainted with the BattleTech universe through MechWarrior Online, which has only become more popular since it released in 2013. Piranha Games has done an amazing job with the series thus far, and if the new trailer is any indication of how MechWarrior 5: Mercenaries will turn out, then we can’t wait to get into the cockpits of our new Mechs and start battling across the landscape. 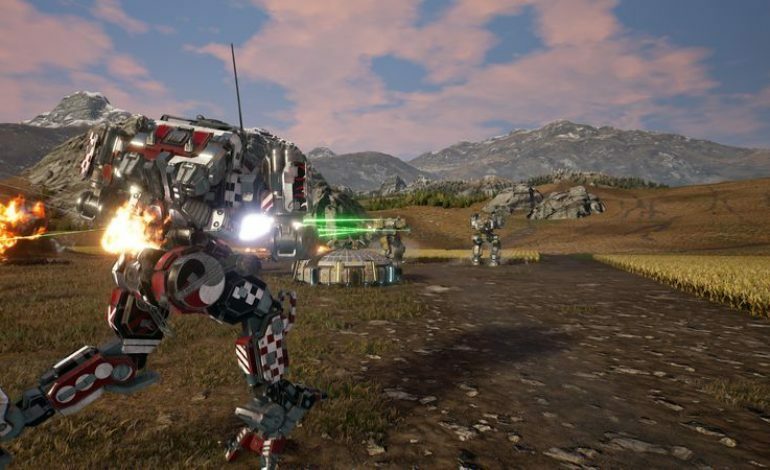 MechWarrior 5: Mercenaries officially launches on September 10, 2019. Piranha Games is currently streaming MechCon 2018 where they are holding the MechWarrior Online World Championships 2018. You can check that out here.